I made a lot of progress yesterday but nothing really finished. For Tell It To The Stars, I’m quilting the background first and have gone through two passes on the frame. I’m actually drawing guide lines to help me make sure I don’t get stuck anywhere. I’m not yet sure about the middle of the stars though. I’m going to go back and finish those off once the background is done. I was wondering if that’s how people do it or do they do thread changes before moving the quilt up the frame. Let me know how you do it? This is my first time changing threads and I may end up regretting it later. For now, it’s an experiment and we’ll see how it turns out. I cut more scraps for Scrapitude 2016. I actually went through all my #3 scrap bin and cut all the darks that were large enough. But I still need more darks. So I went to bin #4 and pulled out more darks. 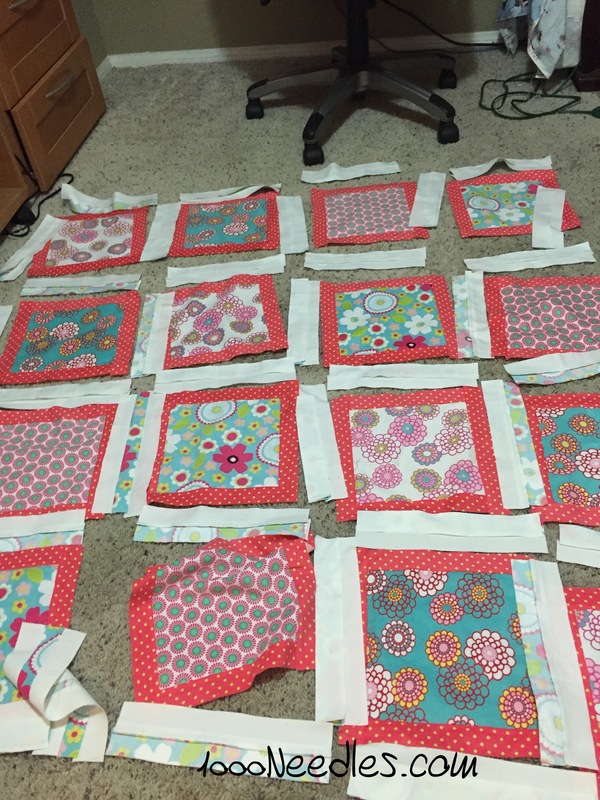 These are scraps that were larger than a 5×7 and smaller than a yard. I pulled a lot of darks so there will be a good sampling in the quilt. I finished the stem in Raining Cats and Dogs and prepped the next piece. As you can see, the sashing isn’t pressed so I went and pressed them. This week, I’ll be putting the blocks together. Looks like you’ve been very busy! I really like the look of Razzle. It will be a very pretty, cozy quilt. Razzle is a cute quilt – I really like the fun prints. 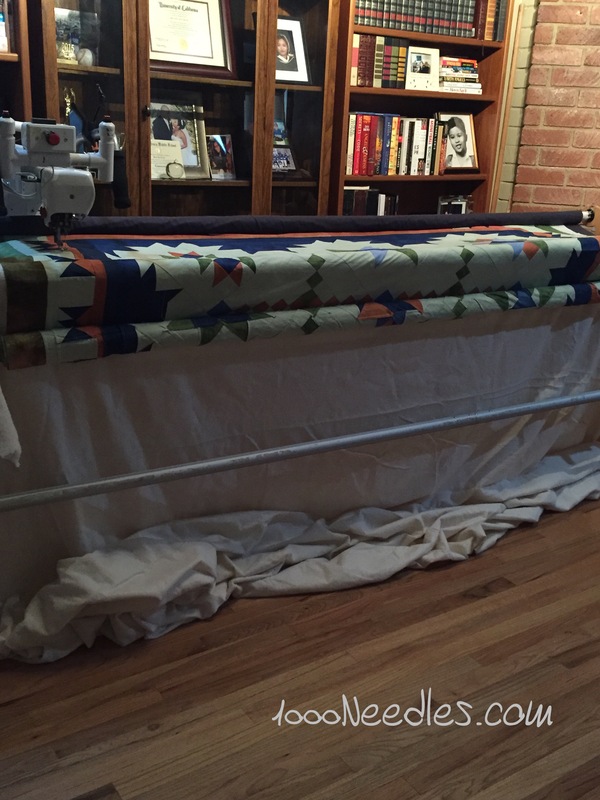 I don’t quilt on a longarm – I use a Sweet Sixteen sit down. I will do all the SITD first on a top and then I will try to do all quilting with one thread before changing the colors. Sometimes though, I will change threads on each block if I think that will work better to avoid puckers, etc. So, I guess that answer was really not an answer at all was it… 🙂 Thanks for linking to MCM! Hi, Melanie! Love “Razzle” – what a bummer about the white not matching. It’s amazing to me how hard it can be to get white to match. 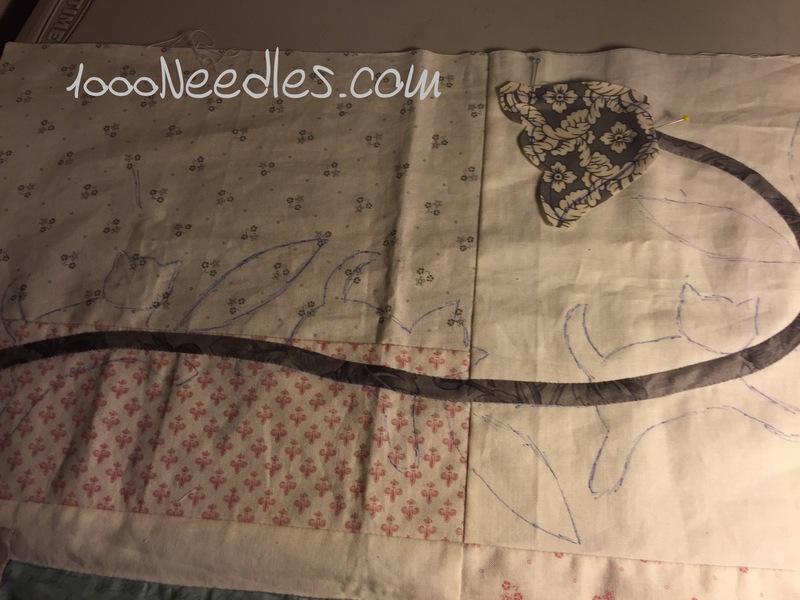 I don’t have a longarm, so I can’t add input. Sounds like I have the same approach on my sit-down as Beth desribes.